I guess this is where I start to fall apart. Saturday, I took a hiatus from the challenge due to an awesome hackathon, which I think was a justifiable reason. However, I was back on schedule for only a meal (I woke up late Sunday morning and didn't have breakfast) before I took a hiatus again! This time for one meal. One of my senior semester activities was a trip to the Foxwoods casino. I had bought my ticket a while ago and due to my inadequacy of remembering dates, I forgot it was Sunday, yesterday. I was really torn about this one. 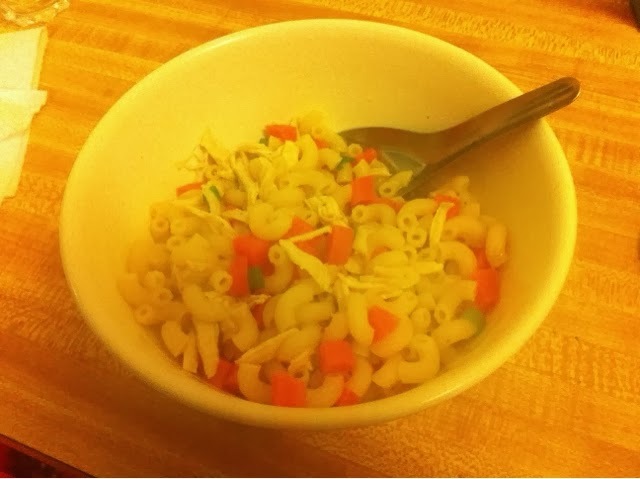 On one hand, I really wanted to just make food and bring it to the casino, I didn't feel like it was fair to just keep stopping the challenge, but then on the other hand, I just wanted to have a good time and not worry about food. I ended caving and pushing the challenge a meal back. 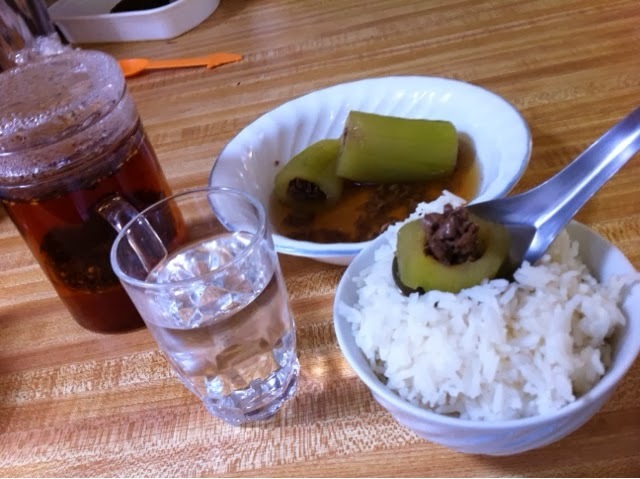 But that sunday morning, I did have a delicious cucumber and beef soup with rice. Normally, you stuff ground beef into a cored cucumber but I didn't have ground beef and chopped up beef worked just as well. Today, I am back on my challenge and this time it'll be until the end of the challenge. Again, due to my late night, I woke up late this morning and had a brunch instead of breakfast: an omelet and rice. Dinner was chicken noodle soup. I also decided to see the Lego movie tonight. And well, that was tough. I usually always try to get popcorn when at the theaters; it's kind of a vice of mine. So it was really difficult for me to turn down popcorn. But I did it! My friend got candy and offered me candy while I made a futile attempt at refusing it. Blah. So as you can see, I'm struggling when it comes to snacks. The rest of the challenge will be difficult considering I have NO snacks left. I've just been munching on cereal but I'm almost out of that as well. I still have a bit of fruit so that may be where I'll be turning. Currently, I am eating pomegranate. But onward I continue. I need to do laundry . . . I'm tired . . . I have so much to do by wednesday, thursday . . . I'm rambling now . . .